Business presentations play a critical role in your corporate communication process. Ginger Domain provides professional yet captivating media-rich presentations. Our experience is vast as we have created presentations for a variety of clients. We understand the importance of first impressions and our multimedia specialists are well-versed in creating presentations which have a huge impact on the viewer. After all, the presentation should be impressive but, at the same time, it should be functional as well. PowerPoint is a popular presentation program which is widely used for making presentations. 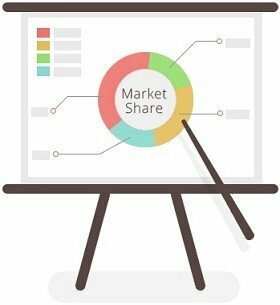 In the corporate world, this media-based program is very common and many are comfortable about using PowerPoint for creating and editing content for presentation. But, how many of them are professional designers? The most common mistake in the corporate world is creating presentations in-house. But, to compete or stand out from among your competition, you require the professional touch! Ginger Domain can help you in designing qualitative presentations that can create a lasting impression and also, maintain the corporate image of your brand. We create PowerPoint templates that we produce may contain rich graphics or even, flash animation as per your requirement. The wow factor of media rich Flash presentation may well help your products and services to stand out from among the crowd. Such a high-impact, multimedia presentation can help you to create a good impression at an event, show or sales pitch. We ensure that your multimedia presentation delivers the message that you want to convey to your target audience accurately. For this, we understand your needs, goals, presenters’ personalities, target audience, presentation environment, technological involvement and budget. We are happy to collaborate with you in case you have suggestions and ideas in mind about the finished product. We put into practice your vision with our expertise as designers, programmers and researchers. Right from the beginning, the design evolves till the end, keeping in mind the presenter as well as target audience throughout the design process. With the help of our experts, you can present your ideas in an impressive manner. Whatever your business position is, be it an established company or a start-up firm, we help you to deliver the message as per your requirement.